Chilliwack, BC – After thieves took Christmas away from a local mother and her children, angels returned the spirit of giving. On Christmas Eve (10:30 p.m) RCMP received a complaint of a break and enter which had occurred earlier that evening to a residence in the 9800 block of Prest Road. The victim reported amid property that was stolen, were gifts from under the Christmas tree. Shaken by the event, the caller and her two young children left their home to spend the night with friends. The theft was posted on social media by the victim’s relatives. “During the night wrapped gifts, to replace the stolen presents, were dropped off at the detachment by anonymous supporters. Christmas Day we were thrilled to deliver the gifts to the family on behalf of the community,” said Cst. Courtney Twolan of the Chilliwack RCMP. Sadly the thieves are still on the loose. Anyone with any information of this event is asked to contact the Chilliwack RCMP at 604-792-4611 or, should you wish to remain anonymous, call Crime Stoppers at 1-800-222-8477 FREE (TIPS). 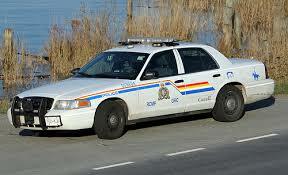 Be the first to comment on "Chilliwack Grinch B&E Turns Into Great Xmas Ending"